Joseph Eric Thornton (born July 2, 1979) is a Canadian professional ice hockey centre who currently serves as captain of the San Jose Sharks of the National Hockey League (NHL).He was selected first overall by the Boston Bruins in the 1997 NHL Entry Draft and went on to play seven seasons with the club, five as its Captain. During the 2005–06 season, he was traded to the Sharks. Splitting the campaign between the two teams, he received the Art Ross and Hart Memorial Trophies as the league's leading point-scorer and most valuable player, respectively. 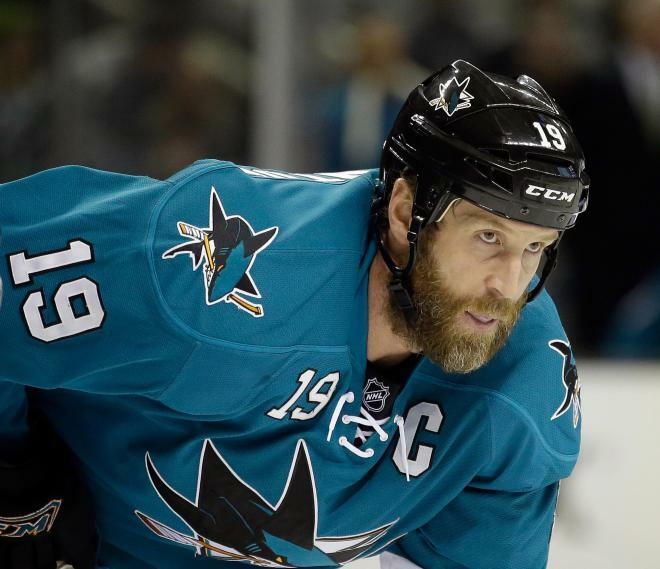 Thornton's on-ice vision, strength on the puck, deft passing ability, and power forward style of play have led to him becoming one of the league's premier top line centers. Listed at 6-foot-4 and 235 pounds, he has received the nickname Jumbo Joe or "Big" Joe Thornton, or even "The Hammer."